Legendary Chicago Cubs Hall of Famer Ernie Banks once famously said, “It’s a great day for a ball game; let’s play two!” And while he was talking about playing a doubleheader of MLB baseball games, he was on to something for spending a day golfing in Minnesota. This state is so loaded with challenging and pristine golf courses, you’ll want to take better advantage of them by playing two in a day. Here are a few pairings to check out this summer. Giants Ridge in Biwabik offers one of the best “twofers” in the state, with the award-winning Legend and Quarry courses offering every bit of challenge a golfer could want. The former has generous fairways and incredible vistas as it winds through the northern woods, and the latter was carved out of rugged Iron Range quarry land. Each course is a feast for the eyes and you won’t have to change your lodging accommodations to play both. If you do want a little drive time between rounds, try The Wilderness at Fortune Bay about a half-hour up the road. Known as the Northern Trilogy, all three courses were designed by Jeffrey Brauer and offer unsurpassed north country golf. Driving Distance: From The Legend to the Quarry: 1 mile (2 minutes). From Giants Ridge to The Wilderness at Fortune Bay: 34 miles (28 minutes). 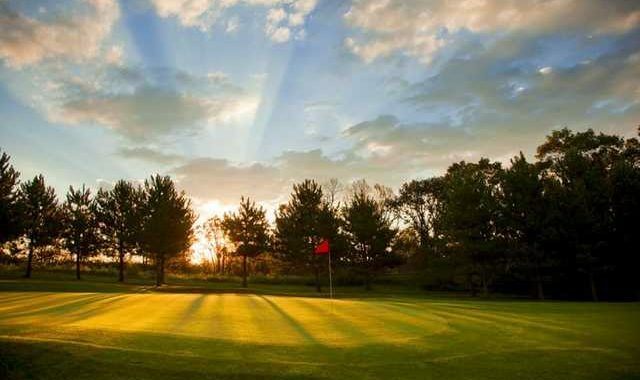 A prime location for a daily double of golf with plenty of course choices would be in the Brainerd/Baxter area, where there are several incredible resorts to choose from and golf challenges to match. Grand View Lodge (with The Pines and The Preserve), Madden’s on Gull Lake (with Pine Beach East, Pine Beach West, and The Classic) and Cragun’s Resort (with the Dutch Legacy and Bobby Legacy courses) are all located on or near Gull Lake. Then there is Breezy Point Resort (with The Traditional, Whitebirch and Deacon’s Lodge courses) and Golden Eagle Golf Club just a couple lakes up the road. Spend a long weekend in Brainerd and pick any two each day. Driving Distance: Grand View Lodge, Madden’s and Cragun’s are all located a boat ride from each, while Breezy Point is about 20 miles (30 minutes) up the road. Golden Eagle is 52 minutes away (40 miles) located in Fifty Lakes — but it is well worth the drive. Down in the Twin Cities, the choices for playing two gets a little crazy, as the options are plentiful. But a good strategy to avoid driving time would be to play two of three in the east Metro: StoneRidge Golf Club, Royal Golf Club, and Prestwick Golf Club. StoneRidge is a beautiful, award-winning, links-style course that offers that “across-the-pond” feel. Royal Golf Club is the new Arnold Palmer/Annika Sorenstam design that has opened to rave reviews. And Prestwick offers some incredible elevation changes and very unique holes weaving through the suburban hills and ponds of Woodbury. There is no wrong choice here. Map out a rush hour-avoiding strategy and you are good for two. Driving Distance: Prestwick is 7.3 miles (12 minutes) from Royal Golf Club and 7.1 miles (12 minutes) from StoneRidge. Royal and StoneRidge are just 3.4 miles (five minutes) away by car. You can catch all three in a weekend. Southwest of the metro is a treasure trove of great courses that will have you staying for a week. There are five excellent and varied courses, each with unique beauty, challenge and vistas that might have had Ernie Banks considering switching sports. Willingers Golf Club in Northfield, Ridges at Sand Creek in Jordan, Stonebrooke Golf Club in Shakopee and The Wilds Golf Club and Legends Club both in Prior Lake. While that Prior Lake combo makes sense, any pairing here is doable and the more choices allow you to line up the perfect two tee times. Driving Distance: The Wilds is 10 miles (16 minutes) from Legends Club and Willingers in Northfield is approximately 20 miles (23 minutes) from Legends. Stonebrooke and Ridges at Sand Creek comprise a great southern metro two-step, as they are 13 miles (17 minutes) apart. Finally, if you find yourself northwest of the Twin Cities, ArrowWood Resort in Alexandria and Thumper Pond Resort in Ottertail are crying out for you to make them a 36-hole tour. Check out the tee times and then make your lodging reservation at the course of the second tee time. It doesn’t matter in which order you play them because the accommodations are incredible at each. In fact, you can replay them in reverse order the next day so you are sure not to miss either. Driving Distance: The two resorts are 50 miles (1 hour) apart. So, no matter what part of the state you visit, there are bound to be two entertaining and challenging golf courses to play all in one day. When Do You Need Winter Rules? What are "Winter Rules" and why do we need them?